President Trump applied a 25 percent tariff on steel and a 10 percent tariff on aluminum against the European Union, as well as NAFTA trade partners Canada and Mexico. The tariffs, originally targeting China in March on the grounds of national security, contained an exemption for U.S. allies. Last Thursday, Trump broadened the tariffs. They went into effect June 1. The EU has promised retaliatory tariffs against a host of products chosen for their political sensitivity, such as bourbon made in Senate Majority Leader Mitch McConnell’s Kentucky or Harley-Davidson motorcycles made in Paul Ryan’s Wisconsin. (The list was drawn up before Ryan announced his impending retirement as Speaker of the House.) Canada’s Justin Trudeau likewise drew up a list of targeted products including steel and aluminum, but also such sundries as toilet paper and quiche. In addition to retaliatory tariffs, Mexico’s list included pork and cranberries. The EU and Canada filed a challenge against the tariffs before the World Trade Organization on Friday, saying the unilateral tariffs violate WTO norms of conduct. German Chancellor Angela Merkel and Canadian Foreign Minister Chrystia Freeland both described the tariffs as “illegal.” However, imposing retaliatory tariffs against the U.S. would also violate WTO trade rules. The move has placed additional tension on the already strained transatlantic partnership. Some warn the tariffs will inadvertently drive the EU closer to China and Russia. However, the tariffs offered an intriguing foreign policy dividend to supporters of Brexit: UK Trade Minister Liam Fox has said he hopes the tariffs will no longer apply to British goods once the kingdom leaves the EU. 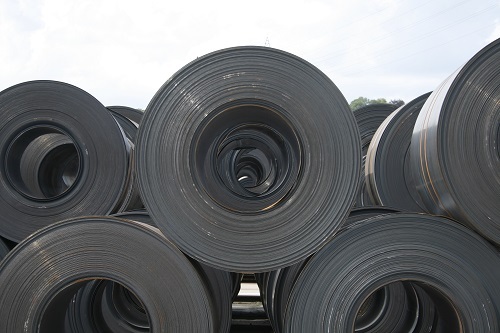 Economists warn that, while these tariffs may support jobs in the U.S. steel and aluminum industries, they may cost more jobs in two ways: U.S. businesses that consume imported steel may have to cut jobs, and foreign tariffs may reduce employment in other sectors. An expert analysis from the Trade Partnership states the tariffs will cost a net 470,000 U.S. jobs. Harley-Davidson said the first round of tariffs against China would raise its costs $15 to $20 million, and the EU’s retaliatory measures “would have a significant impact on our sales, our dealers, our suppliers and our customers in those markets.” The U.S. Chamber of Commerce elevates the potential job loss to 2.6 million. Raising the price of consumer goods disproportionately hurts the poor. Straining relations with U.S. allies and potentially hurting defense industries makes the nation less safe. And, if job loss estimates prove accurate, the resultant unemployment will reduce family well-being, while depleting the wealth available for charity or church-related activities.